Handwritten paper medical records are inevitably giving way to electronic medical records (EMRs). Although digital medical records have been around for at least 30 years, significant financial investment over the past decade has resulted in data portability and accessibility that was previously not available. The velocity of innovation and progress of EMRs is increasing, however, there are still several hurdles to overcome. The implementation of new medical data systems has received some criticism from health-care journalists and commentators for its seeming lack of accountability and empowerment. Also, many providers still use both electronic and paper records and exporting data can be a complex process. 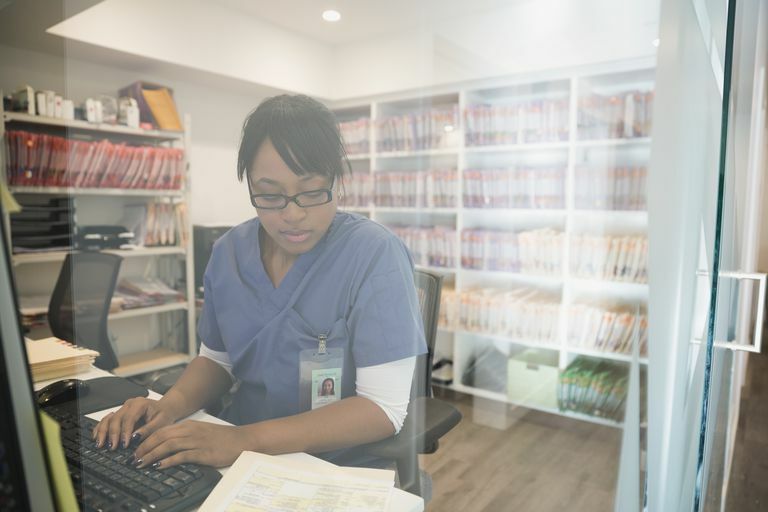 Moreover, studies show that health-care professional themselves are often confused about the interoperability of electronic health records (EHR) and don’t know how to achieve meaningful connectivity. The two acronyms—EHR and EMR—are often used interchangeably. But as the Office of the National Coordinator for Health Information Technology (ONC) notes, there is a difference between electronic health records (EHRs) and EMRs. EMRs predate EHRs and were intended for clinician use only. EHRs attempt to go further and encompass a broader spectrum of data than EMRs. Meaningful Use—a set of standards that are supposed to ensure that health dollars spent on EHRs result in productive outcomes—essentially mandates that EHRs be interoperable. This directive requires unlocking health data and connecting different systems creating a “many to many" model (in contrast to a "point to point" model) meant to increase the utility of one’s personal medical data. However, Fred Trotter, an established health-care data journalist and author, argues that EHRs are not yet able to exchange data and communicate, so the American health-care system might arguably still be in the era of EMRs. What is blocking health system interoperability? Dr. Karen DeSalvo, the former National Coordinator for Health Information Technology who recently joined the Dell Medical School at The University of Texas at Austin, wrote about the complaints of “health information blocking.” This practice impedes the exchange and use of electronic health information and is one of the barriers to interoperability. In April 2015, the Office of the National Coordinator for Health IT (ONC) submitted a report to Congress on information blocking, and the authors proposed actions that can curb the practice, and stipulated that there should be more transparency in health IT markets. A national survey conducted by Julia Adler-Milstein and Eric Pfeifer of the University of Michigan Schools of Information and Public Health showed that information blocking remains widespread to date. Respondents reported that vendors, hospitals and health systems routinely engaged in information blocking. Limited interoperability of products was one of the most common forms of this practice among vendors. Hospitals and health systems, on the other hand, were often found to offer preferential treatment to a specific type of EHR and coerced providers to adopt it. Respondents also experienced hospitals controlling the flow of patients by not sharing their information openly. Purportedly, the motivation behind such practices was a desire to increase revenue. Adler-Milstein and Pfeifer believe that information blocking should become illegal, which would involve introducing new legislation in the area of data exchange and sharing. It is expected that in 2018, the ONC will release a rule that will, among other things, define information blocking and sanction those who prevent information exchange. According to the 21st Century Cures Act, violations could result in penalties of up to $1 million. Another cited barrier to successful EMRs’ interoperability is a complex mix of technological issues and policy interactions. Trotter appeals for hospitals to create a dedicated role specific to tackling these highly specialized issues. All in all, interoperability remains a challenge. Many health-care professionals believe that the barriers to its implementation have not been removed yet despite all of the initial enthusiasm and resources that have been put into the project. Portability of one’s personal health data is another important concept that relates to creating standardization among the syntax used to create health records and the ability to easily transport this data across disparate systems. Many studies have shown that portable and easily transferable data can considerably improve health-care services and enhance patient care. However, portability of EMRs is a challenge that has not generally been solved yet and still needs to be perfected to secure a coordinated health-care system. Safe and secure exchange of digital health information remains one of the priorities of the digital health movement. Researchers from India who were assessing the implementation of EHR in developing countries have suggested that cloud storage, password protection, and encryption are all measures health-care providers can take to make portable EHRs more secure. Some security breaches and ethical dilemmas have been recorded and these have occasionally overshadowed the usefulness of EHRs. A group of researchers from the School of Health Administration, Texas State University, led by Dr. Clemens Scott Kruse, did a comprehensive review on the safety of EHRs. They found that although numerous security techniques are being used, it is difficult to say what works best. Nonetheless, firewall and cryptography methodologies were identified as most promising and successful in securing patient data. To advance health information sharing, on July 28, 2015, the ONC announced more than $38 million in grant awards to 20 organizations from 19 states across the country. One thing the awardees were expected to work on was increasing the integration of health information. A community health peer-learning program was also predicted to help communities improve data aggregation, data portability and data analysis, all with the goal to achieve better outcomes and smarter health-care spending. Other programs have also been put in place to engage patients and improve care coordination, such as the Medicare and Medicaid EHR Incentive Programs. These initiatives promote the secure exchange of health information. They also encourage patient access to records and electronic tools to enable communication with health-care providers. The overall aim of the program is to reduce health disparities and offer culturally-competent care with the help of technology. A recent evaluation of the EHR Incentive Program by the Department of Health Informatics and Information Management of the College of St. Scholastica showed that major advancements have been made. However, in order to become more client-centered and improve care outcomes for all, user engagement still requires some additional attention. Kruse CS, Smith B, Vanderlinden H, Nealand A. Security Techniques for the Electronic Health Records. Journal of Medical Systems. 2017;41(8):127. doi:10.1007/s10916-017-0778-4. Terry K. Still waiting: why EHR interoperability remains an elusive goal. Medical Economics. 2017;(11):14-19. Watters A, Bergstrom A, Sandefer R. Patient engagement and meaningful use: Assessing the impact of the EHR incentive program on cultural competencies in healthcare. Journal of Cultural Diversity. 2016;23(3):114-120.